He was known as Harry. Henry Hayes and Johanna Brassel appeared in the 4 April 1881 census of Canada in Niagara Falls (formerly Clifton), Welland County, Ontario, Canada. Other members of the household included Henry Hayes, Mary Ann Rushton, Jane Rushton, George Rushton, Hannah Hayes and Louise Hayes. "Johanna" is identified as Hannah Hayes, age 37. Henry Hayes and Johanna Brassel appeared in the 6 April 1891 census of Canada in Niagara Falls, Welland County, Ontario, Canada. Other members of the household included Henry Hayes, Hannah Hayes and Louise Hayes. "Johanna" is identified as Hannah Hayes, age 54. Henry Hayes and Johanna Brassel appeared in the 31 March 1901 census of Canada in Niagara Falls, Welland County, Ontario, Canada, at McGrail. Other members of the household included Henry Hayes, Louise Hayes. "Johanna" is identified as Anna Hays, age 58 (born 6 August 1843). He was a mechanic, according to the 1901 census. Harry Hayes, occupation metal polisher, crossed the border from Canada at Niagara Falls on 21 October 1908 to visit Pete Wilson, 8th Street. Henry Hayes and Johanna Brassel appeared in the 1 June 1911 census of Canada in Niagara Falls, Welland County, Ontario, Canada, at 79 McGrail Avenue. Other members of the household included Henry Hayes. "Johanna" is identified as Anna Hayes, age 70 (born April 1841). He was a labourer at odd jobs, according to the 1911 census. The following appeared in an Ontario newspaper: (Niagara Falls, Ont., Dec. 2) Harry Hayes, 78 years of age, died at his home, No. 79 McGrail avenue yesterday afternoon. The funeral will be held on Monday at 2:30 p. m., from the family residence to All Saints Church cemetery for burial -- motors. Deceased is survived by his widow, three daughters, Mrs. W. C. Wright, of Toronto; Mrs. J. Gorman of Niagara Falls, N. Y; Mrs. P. Wilson, Niagara Falls, N. Y., and one son, Harry, at home. In Johanna Brassel's will probated in the Surrogate Court, Welland County, Ontario, Canada, heirs included Henry Hayes and Jane Rushton, Hannah Hayes and Louise Hayes. He officially witnessed the death of Johanna Brassel on 14 March 1919 at 461 5th Street in Niagara Falls, Niagara County, New York; at the home of her daughter Louise Hayes Wilson. Peter MacIntosh Wilson and Louise Hayes appeared in the New York state census of 1 June 1925 in Niagara Falls, Niagara County, New York, at 336 Seventh Street. Other members of the household included Harry Hayes, Carolyn Margaret Wilson, Robert Emerson Wilson and Dorothy Edna Gorman. Boarding in the household was Vincent DeFrancis. He was employed as a silver polisher, according to the 1925 census. Peter MacIntosh Wilson and Louise Hayes appeared in the US federal census of 1 April 1930 in Niagara Falls, New York, at 336 Seventh Street Also living in the household was roomer Vincent DeFrances.. Other members of the household included Henry Hayes, Carolyn Margaret Wilson and Robert Emerson Wilson. He was a foreman in a silverplating factory, according to the 1930 census. He applied for a Social Security account number on 15 January 1937 while living at 320 Sixth Street, Niagara Falls, Niagara County, New York, employed by Varcum Chemical Corporation on Packard Road. Henry Hayes appeared in the US federal census of 1 April 1940 in Niagara Falls, Niagara County, New York, at 417 Niagara Street lodging with three other men in a small household. He was employed by a chemical manufacturer, according to the 1940 census. At the time of his death Henry Hayes was living in Niagara Falls, Niagara County, New York, at 417 Niagara. 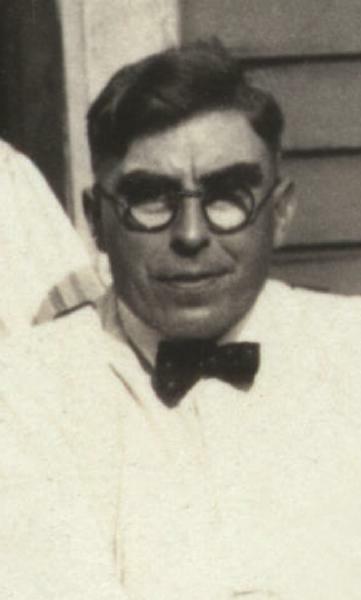 Henry Hayes died on 20 January 1941 in Niagara Falls, Niagara County, New York, at Memorial Hospital. He was interred at All Saints Church Cemetery, Niagara Falls, Welland County, Ontario, Canada.